Reredo composed of four arched upper panels and four oblong lower panels. 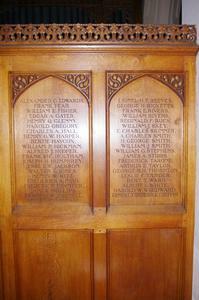 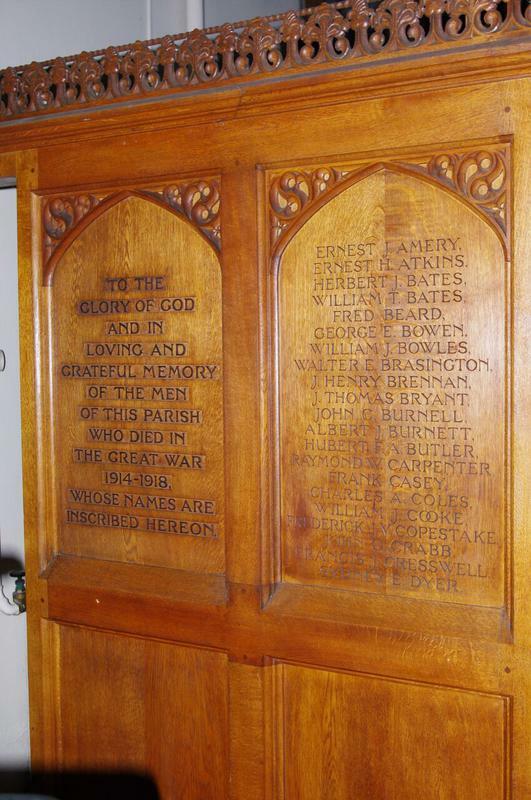 The main inscription is on the first arched panel on left and the names are inscribed on the following three arched panels. 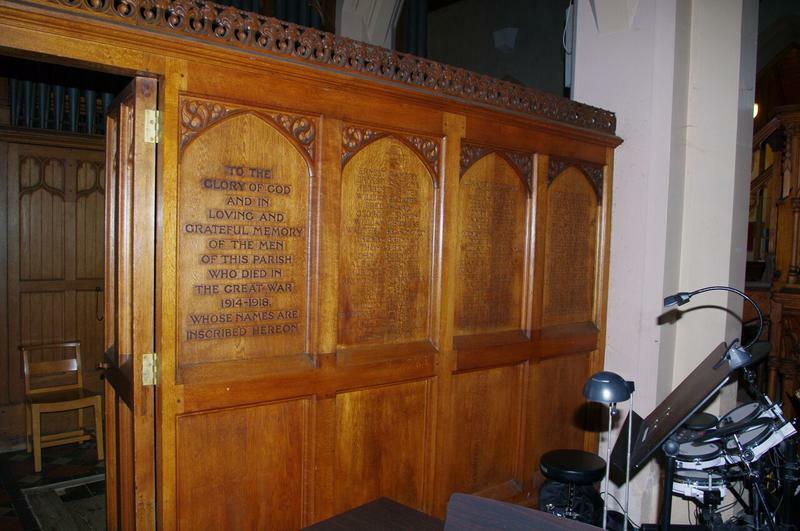 The lower panels are uninscribed.